Height 50 cm. Rabat (Morocco), Archaeological MuseumInv. Nos. 99.1.12.1341 / Vol 131. 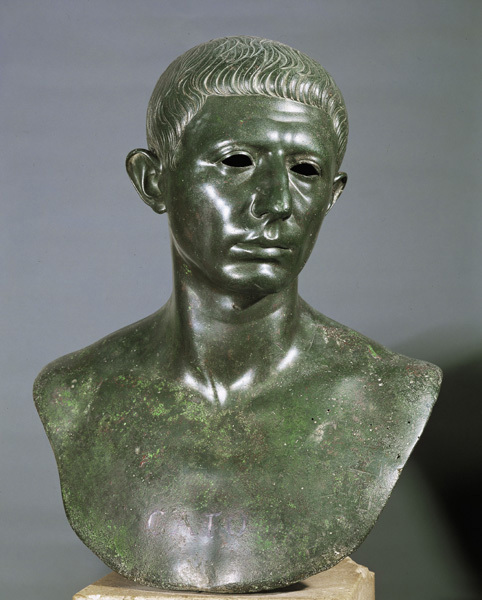 Bust of Marcus Porcius Cato Uticensis. Inv. Nos. 99.1.12.1341 / Vol 131. © 2006. Photo: Erich Lessing / AKG (http://www.universalis.fr/encyclopedie/T229631/CATON_D_UTIQUE.htm).